This isn’t a normal Tuesday. It’s the beginning of the 84th Texas Legislative Session and it all kicked off at noon today. I was sworn in as a state senator for the fourth time. 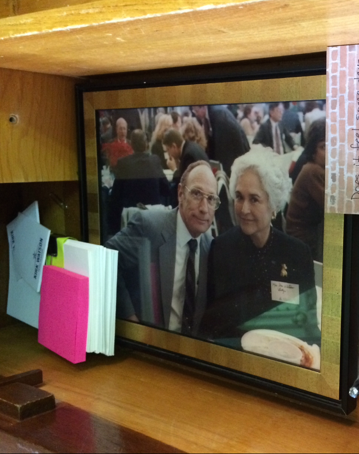 And I always keep a photo of my parents in my desk on the Senate floor. They would love that I have this opportunity and it reminds me of the lessons learned that guide my service. We have a new presiding officer. There will be nine new members of the 31-member Senate. There’s a lot of change. It’s serious business. It’s about the lives, happiness and potential of Texas and Texans. It’s about more than politics and power. It’s about more than bumper-sticker promises and exploiting fear. Let’s pray and hope those elected to serve in the Capitol will have the wisdom, honesty, empathy and heart to be just and fair and do right by our state and our neighbors, families and loved ones.